"After the death of her husband, Sheila Travis moves from Japan to Chicago, where she accepts a job at the prestigious Markham institute, a graduate school that specializes in training exceedingly promising young men for diplomatic careers." Sending this to loveamystery as requested from Shrofflands/LoriPed's Mysterious Mysteries VBB. I am looking forward to reading this one as it is her first novel. 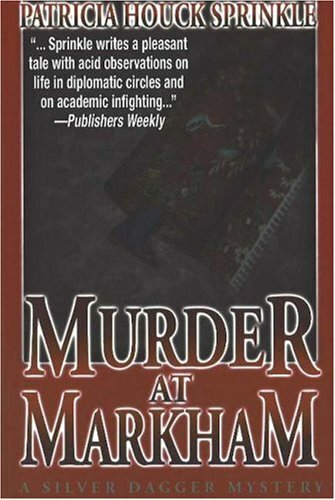 When bad girl Melanie Forbes is found murdered in Chicago's elite school of diplomacy, the Markham Institute, administrative assistant Sheila Travis uses her years of diplomatic experience and her nose for crime to investigate. I liked this one and will read the others in the series.